Gambling is everywhere. Lottery, Powerball, scratch offs, and so many more options! It’s online, in hotels, and even in the gas stations. Some of us can count the number of times we’ve gone to a casino or put tokens into a slot machine on one hand. But for others, to give up gambling even for a day would seem impossible. 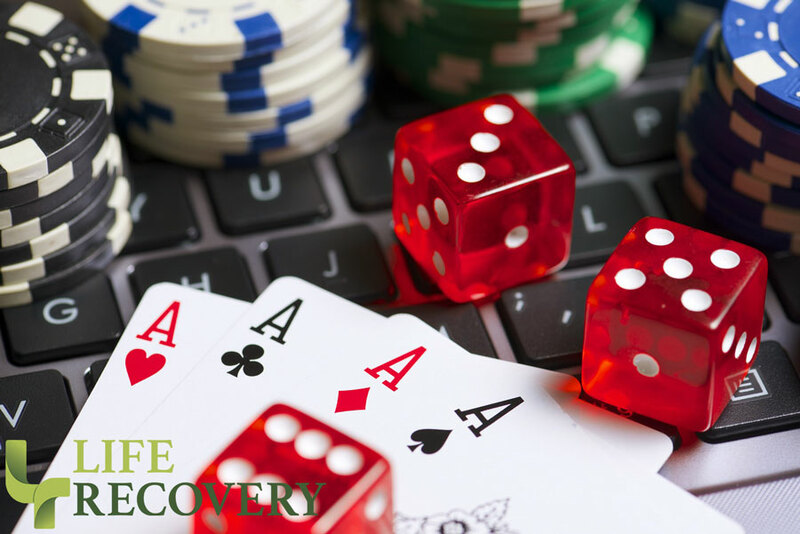 Struggling with a gambling addiction will take a toll on your life. It can drain your bank account. Even worse, it will destroy your relationships. Can you relate? If so, it’s time to get a grip on gambling. And here are 3 steps you can take to get help. The first step to getting help for any addiction is to admit you have a problem. If you’re not sure if you struggle with a gambling addiction, write down everything you buy and spend money on for a month. Then you’ll see where your money is going. If your money—or a big chunk of it—is going toward gambling, then you may have a gambling addiction. If you are in debt due to your gambling- you have a problem with gambling responsibly. Let your close family members and friends—who are supportive of you—know about your struggle with gambling. Also, it’s important you get help from a licensed counselor and go to a Life Recovery Group or Gamblers Anonymous. The more help you get, the more likely you’ll be to overcome your addiction. But unless you get to the root of why you struggle with a gamble addiction, you’ll revert back to your old struggles. So be real and honest. Do you also suffer from anxiety, depression, stress, or a chemical dependency? If so, these can trigger your gambling. Talk to your counselor and your support group about what your triggers are and how to overcome them. Don’t go to casinos. Ever! Delete gambling apps from your phone. Get an online blocker to prevent you from going to gambling websites. Tell the casinos you go to that you have a problem and want them to block you from entering. Staying away from casinos and online gambling isn’t enough. You’ll also need to find some healthy activities to replace it. In other words…get a life! Start by surrounding yourself with safe people whom you trust. Consider a new hobby you’ve always wanted to try, set a fitness goal like running a marathon or begin to connect with friends and loved ones with a shared hobby like remodeling or building something. If it’s still hard for you to stop gambling and gain control over your finances, appoint a trustworthy person to manage your money. Ask a close friend or family member to handle your money, pay your bills, and give you enough money to live on. Having another person managing your money will help you stop gambling, find accountability, and manage your money better. It’ll be hard, but it’s crucial for your recovery. You cannot face your gambling addiction alone. When you isolate yourself from others, loneliness will only lead you back into a gambling addiction. Instead call a friend when you are tempted, go out to eat dinner with friends, join a Bible study, or book club. The next time you’re tempted to gamble, call a friend or an accountability partner and talk to them to avoid a relapse. After all, getting drawn back into a gambling addiction is not a risk worth taking. There is freedom available for your future!